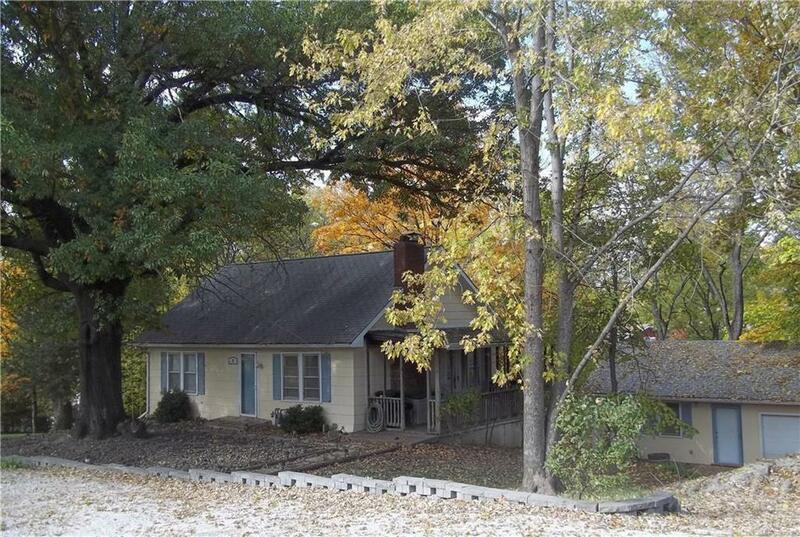 Quaint 3 bdrm home nestled away on .57 acre treed lot. Home has personality and ready for your inspiration & updates. Nice sized bdrms w/large bdrm upstairs. Working wood fireplace. Covered porch could easily be enclosed. Great detached garage w/separate area space that is ideal for home office/business, craft/hobby space or just hanging out with family and friends. Large yard has plenty of room to romp and roam. Foundation Needs Work - yet basement is dry. AS-IS where is in its present condition. Directions: N Oak Trafficway to 72nd St. West to Walnut (one block). South to 70th Ter. Right to home. Home is on the curve. Stay right on gravel driveway.